I don’t have many memorable Halloween costumes from my childhood, but I do remember being a witch for about 8 of those years! I was a wicked witch, a good witch, a fairy witch, a candy witch, and who knows what else! What is it about witches that makes them so alluring? It turns out this is a pretty loaded questions with a lot of baggage. I have a big disclaimer before diving in to the topic of witches: our family is not religious. I consider myself a Christian and spiritual, but we do not attend church and I don’t align myself with any religious order that dictates moral behavior. I wrote a story for an upcoming edition of Rooted Childhood, and the story includes a witch. She is a good witch, and my children listened to the story in utter delight the first time they heard it and repeatedly ask to hear the story again and again. Witches are common figures in literature going back thousand of years to when they were told aloud, before they were written down. Classic fairy tales such as Hansel and Gretel, Snow White, and Rapunzel all feature an old woman as the evil witch. 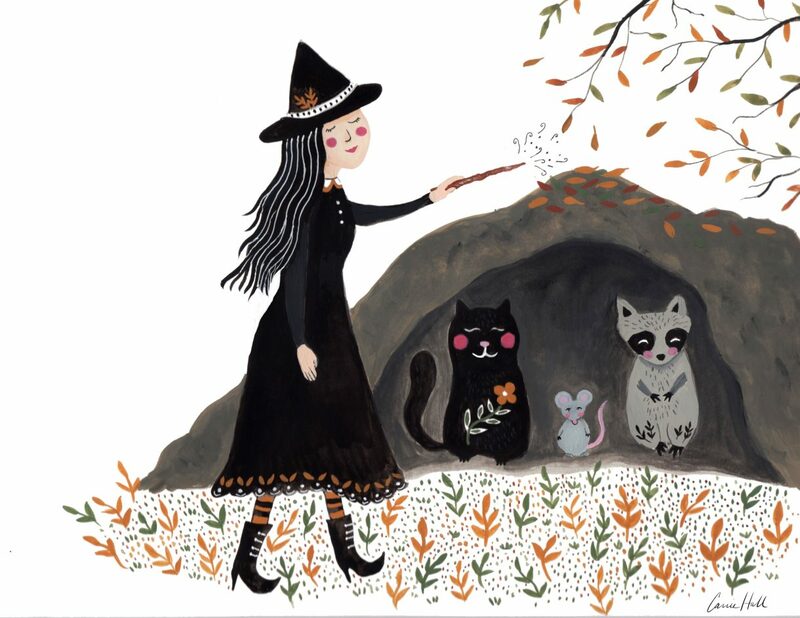 Modern stories such as The Lion, the Witch and the Wardrobe, The Wizard of Oz, Strega Nona, and Room on the Broom take liberties with the concept of the witch and offer a more positive portrayal of these old women. When I stopped to think about my own story, I started to wonder, “Why does she need to be a witch?” I could have made her a fairy or a sweet grandmother or a little girl. But once again, the magic of the archetypal witch has a distinct allure that can’t be ignored. There is something dangerously mysterious about witches, even the good ones. They’re powerful and their magic can be used for good or bad. Are witches in media bad? Balanced adults and children are able to discern between what’s real and what’s make believe. We have read a lot of stories about witches, and my children have never once believed that witches or magic was real. I haven’t had any discussions with them about that fact that there are indeed people today who practice witchcraft because they are so young. I’m not ready to muddy the waters with them at this point. To children, witches expand the imagination far beyond what they will see in the real world. They represent possibilities of good and bad and choices we all have to make. When we encounter an evil witch in classic literature, we also surely witness her demise. The message is clear. But what about good witches? Are we encouraging children to dive headfirst into the occult when they observe and emulate a good witch? No, I don’t think so. But it can get a bit confusing when moral standards are ignored and upturned. If a good witch uses her powers to defeat another person, even one from the dark side, what message does that send? Once I was clearly conflicted about writing a story with a witch for young children, I went to my amazing Instagram friends to get a second opinion. And wow, you all had an opinion! Witches are wonderful. Not in the scary sense. But in their potion making spell casting. For us, it is because God hates witchcraft, so I don’t want them delighting in it. I don’t mind witches personally. We have spoken about good magic and bad. I love Harry Potter so we don’t feel the need to make it a big deal. I think to kids the witch image is as spooky as a jackolantern. Not evil, playful spooky! I just feel there’s no evil unless you attach evil. Kids don’t know. They’re fun! We have made a point to teach him about the existence of paganism/witchcraft as a religious choice. We avoid Halloween altogether because God said not to mess with evil things. So, no ghosts, witches or devils. We are Christians and witches are real and they use the power of Satan. Depends on the age! My kiddos are scared of witches/scary stuff. We are Christian, so we don’t do witches or ghosts. Or Halloween. E is going to be the wicked witch from Wizard of Oz. Maybe if it’s literature based it’s better. 1 Thessalonians 5:22 Making light of spiritual things is opening a door you may not want to open. Witches are consciously powerful women. Witches are real and not cute and innocent. They are evil and very active in the dark side. My 5 year old is going to be a witch for Halloween this year. I find it completely harmless. Literature based, I’m personally OK with them. 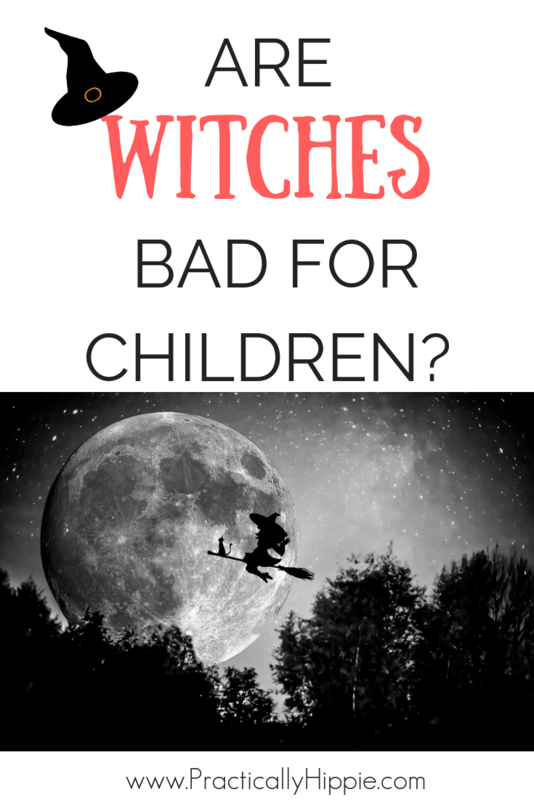 I was raised in an old school Christian family so anything witchy was a big no no. My kids are just too little and they scare them. Fine for everything! I love the concept of wise women throughout history who knew how to use nature to heal, etc. Witches are just “dark.” I can’t find anything about witches that glorifies the Lord. My kids are four and two years old. I feel there are plenty of other seasonal things to put in that space. Maybe it’s just me, but kids are little, they’ll pretend to have magical powers no matter what. We love fantasy and imagination! What’s better than having magical powers? It’s a mythical creature, no more, no less. It confuses kids raised on biblical standards. Because it shows dishonor to my God, the Bible strongly discourages it. We are a pagan family. We raise her knowing the difference in the types with knowledge of many religions. Dress up? Let them be! We’re in an age of Harry Potter! Let them pretend. I was a witch for Halloween in the 3rd grad and I turned out fine! We naturally only bring them up during October and none of my kids ever have a questions about them. We quit Halloween last year. it just doesn’t line up with my faith and I couldn’t justify it anymore. Witches are a common trope in fairytales. I’m pro sharing classes fairytales. As you can see, the responses are all across the board. 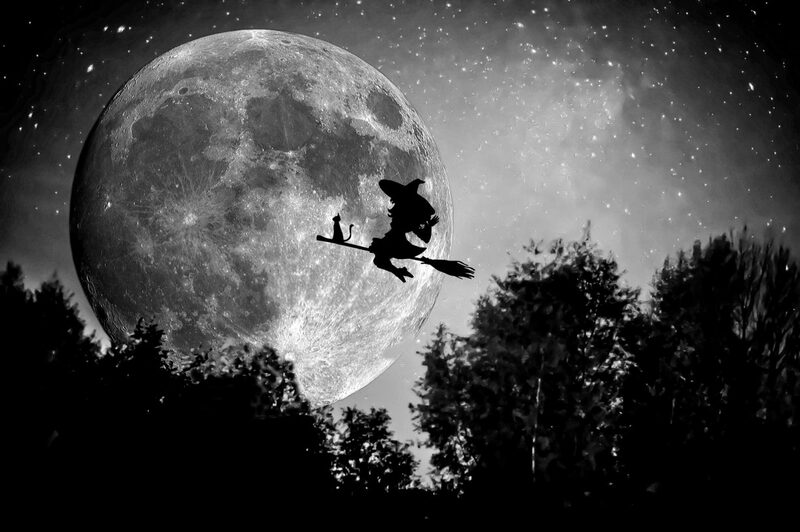 It seems that many very religious Christians are adamantly against witches, but I wondered if they just meant Halloween witches or witches from fairy tales and Narnia too. I had a few more in-depth conversations with those who expressly said they were against witches, and found that there was a range of some who really do shelter children from all exposure to witches- no fairy tales, no Disney, no Harry Potter, no Halloween to some who don’t prefer it, but allow exposure based on circumstances. This really resonates with me and brings me to my conclusion- the “whatever test”, inspired by this post from Lies Young Women Believe. The “whatever test” can be applied whether you’re Christian or not, religious, spiritual, or whatever your calling is with your own moral standards. If you can honestly say that the witches you’re encountering are noble, right, pure, and lovely, then you’re probably not compromising your moral standards. 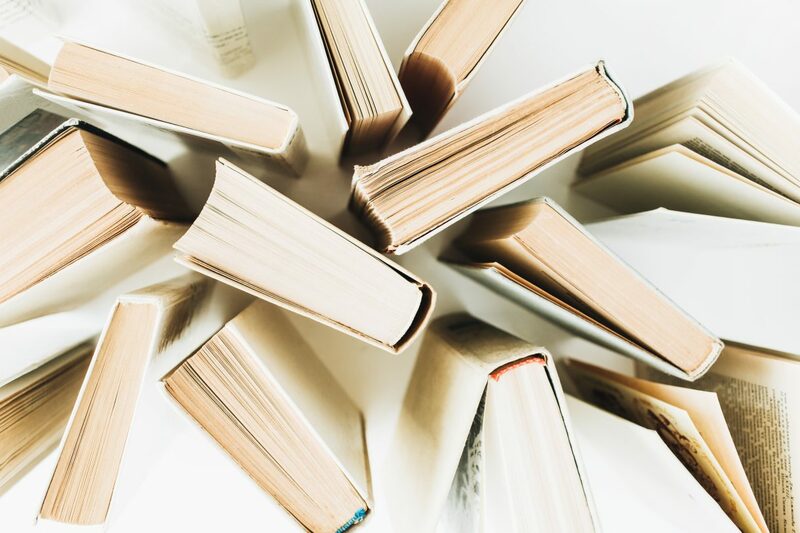 For me, this means that I can apply my own understanding of the Bible and the world and my own moral truths and use that a guide for determining whether witches have a place in my children’s thoughts. Snow White? Of course. Strega Nona? Yes, the sweet old woman can stay. The Wizard of Oz? Sure thing. And what about the good witch in my story? She’s a keeper too. You’ll meet her soon, and I just know you’ll love her. But What About Magic? What does God’s Word say about wizards and witches? I’d love to hear your take on witches and how you’ve approached the subject with your children. Share a note with me in the comments!